The Bahamas Chamber of Commerce and Employers Confederation has said that there is limited space available for its meet and greet event October 2 featuring Arnold Donald, president and chief executive officer of Carnival Corp. The event–open to members first and non-members on a space available basis–will be held at Billfish Grill at Palm Cay, the active residential and marina community on New Providence’s southeastern shore. 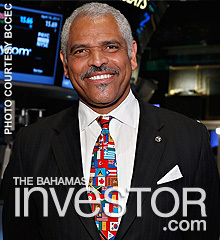 “Arnold Donald, who succeeded Mickey Arison as the chief executive officer at Carnival, took the helm of one of the world’s largest entertainment and transportation companies at a time when the industry was facing serious challenges, but he maintained his vision and what he has to share will be invaluable to our members as we, in The Bahamas, face uncertain waters with new taxes and a slowly recovering economy,” said Chamber CEO Edison Sumner. Donald will be accompanied by several other top-ranking persons, including Ambassador George Staples, who served as ambassador to the Republics of Rwanda, Cameroon and Equatorial Guinea. The Ambassador worked as the senior US civilian aide in NATO and his final State Department position was director general of the Foreign Services with responsibility for policies affected some 50,000 personnel. Also in attendance will be Carnival chief communications officer Roger Frizzell and branding and marketing consultant Karl Sestek. 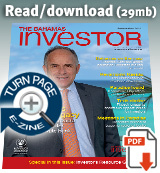 To reserve a place or for more information contact info@thebahamaschamber.com.